As much as 65% of the population in India lies below the age of 35 years and 50% of the population lies below the age of 25 years. These figures are self-explanatory as to why employment is one of the most concerned areas in our country. Jobs are the prime requirement of the progressive youth of any nation. It has been quite difficult to gather actual information on jobs nationwide due to various constraints in assessing the employment rate in the country. In the recent Lok Sabha session, the prime minister stated some facts about the employment generation in the country that is often ignored. Around 80-85% of the employment is generated by the unorganised sector. Owing to its nature, it is difficult to keep the precise track of this sector. The government has introduced multiple types of employment opportunities, which are not recorded in any data. Many a time, the jobs offered are not in sync with the demands and aspirations of a candidate. This is observed in large numbers in the private as well as the public sector. It should not be as unemployment in the country. Only 10-15% of jobs are generated in the organised sector. One of the astounding facts that the prime minister stated in this session of Parliament was that from the period of September 2017 to November 2018: around 1.8 crore had begun the deduction of provident fund for the first time, which is credible data as this is a direct implication of employment generation. 64% of such individuals are below the age of 28. 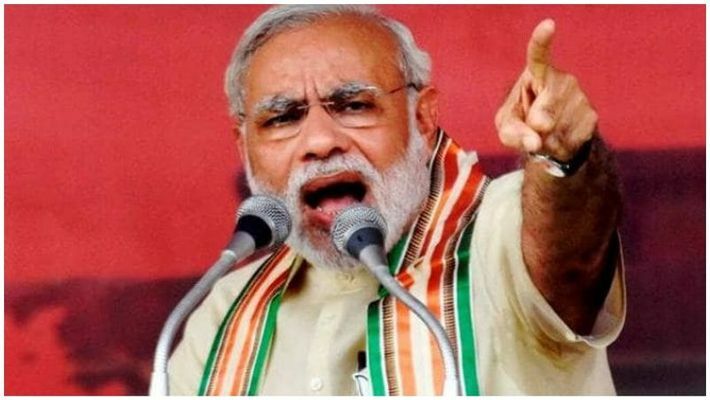 The Prime Minister went on to state that in March 2014, around 65 lakh people were registered under the National Pension Scheme (NPS), which rose to 1,20,00,000 last year. There has been an estimate of around 6,35,000 self-employed professionals who have emerged in the last four years who have successfully provided jobs to numerous others. The leaders in the opposition had little to say after hearing the facts. Around 10-12 million people enter the Indian job market each year. There is only around 27-30% of the total female job seekers in the market, which is a matter of utmost concern. The jobs generated by the economy are sufficient for the current requirement. However, the unemployed youth from the previous years is too high in number to be absorbed by the current employment opportunities alone. Before mocking the BJP about the current employment status, the Congress leaders need to keep in mind the backlog from the previous years. The government is constantly working day in and out to enhance and accelerate the employment rate in the country. Special emphasis is given to the upliftment of the poor and the weaker sections of the society. The National Career Service (NCS) plays an important role in generating employment. The NCS has transformed the public employment service in the country using information technology bringing together the job seekers and employers. It has introduced a common platform for either of the parties. Catering to career-related services to the job aspirants. Providing counselling services for any guidance or assistance. Active call centres to clear any doubts of the job seekers or the employers. Setting up model career centres. In addition, the NCS also offers services like e-linking of all the employment exchanges, job matching and organizing job fairs on a regular basis. PMMY is a government scheme announced by the Prime Minister. It provides loans up to an amount of Rs 10 lakh to small or micro, non-corporate, non-farm enterprises. Such loans are termed as the Mudra loans. RRBs, Commercial banks, cooperative banks, small finance banks, NBFCs and MFIs give such loans. They can be obtained by approaching the financial institutions directly or by applying for them on the online portal. Three products named: Shishu, Kishore and Tarun are under the Mudra yojana signifying the stages of the growth, development and funding needs of a unit or entrepreneur. There was an absence of a comprehensive report regarding job creation in the country. In a report by Prof. Pulak Ghosh from the Indian Institute of Management, Bangalore and Somya Kanti Ghosh who is the Group Chief Economic Advisor of SBI, the figures for the employment in the formal sector have been declared for the first time. Prior to the Ghosh reports were the NSSO reports which were inadequate in representing the employment situation in the country. This led to a requirement for the development of a better and reliable mechanism for assessing the employment status. Jobs are divided into formal and informal sectors in India. Under the formal sector, the jobs are primarily characterised by social security coverage. Social security in India is provided by three organizations in India: EPS, ESIC, NPS. een analysed by the Ghosh reports. They have revealed that till March 2017, a total of 55 incremental jobs have been registered with EPFO, 9 lakh with ESIC and 7 lakh with NPS. Therefore, a total of 71 lakh jobs have been created in the year 2017-2018. It is right to say that the organised sector generates 70 lakh jobs annually as the data is based on monthly contributions and payroll. According to Surjit S Bhalla who is a member of the Economic Advisory Council to the Prime Minister of India, in accordance to the research carried out by him, there have been 13 million jobs in the year 2017 to 2018. The statistics are credible and have been backed by enough research and evidence that the employment generation is not only positive but also increasing rapidly. The government is working consistently in upliftment of all the sectors of the economy. Employment is one of the prime sectors to have witnessed a rapid change and the improvement is pretty evident.